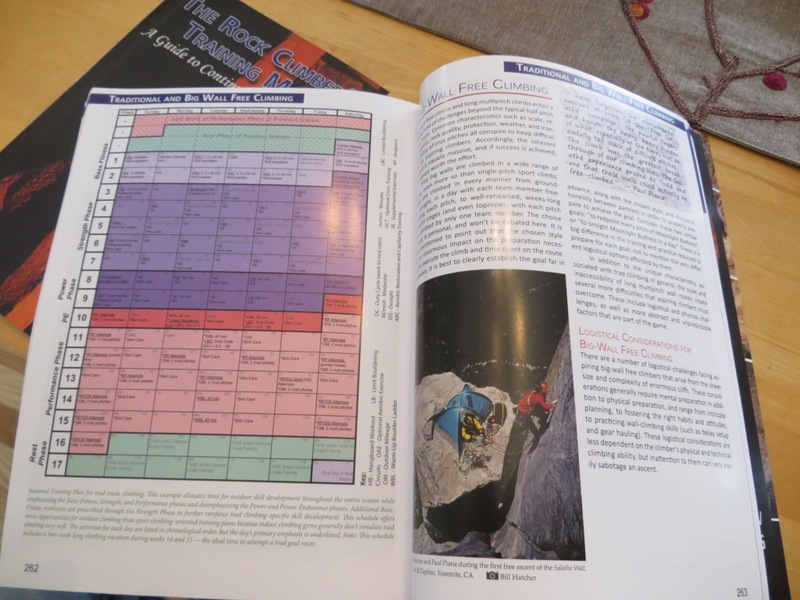 Our partners at Fixed Pin Publishing recently received six “Advanced Copies” of The Rock Climber’s Training Manual in the mail. Last weekend I headed up to their offices (Ben’s dining room) to get a sneak peek at the goods. 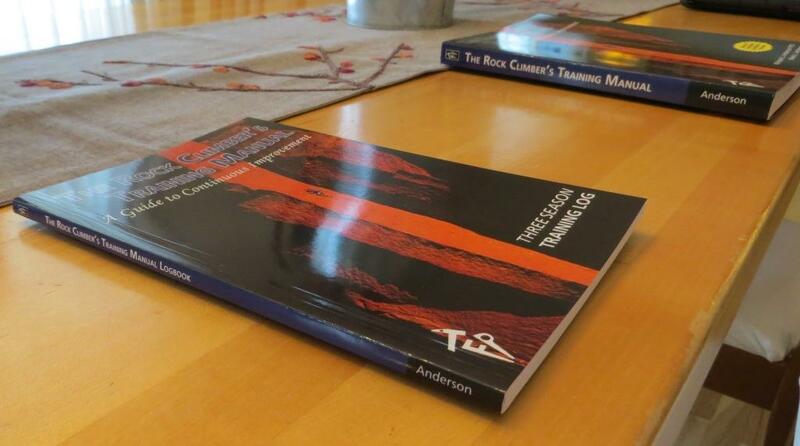 The Rock Climber’s Training Manual! These six books are the first off the press, and were air-mailed to be used for marketing purposes (sorry, they aren’t available for sale 😉 ). They will be sent to various media folks and distributors to help Fixed Pin get the book out into the market once the full shipment arrives. The book looks stellar! We had some concerns about the cover, and we ultimately delayed production to get it fixed, and I think it was worth it. It looks fantastic. The book is fairly big, so the text is really easy to read, the figures look nice and the photos pop. It’s hard to explain what it’s like to envision something, work on it for so long and then finally hold it in your hands. The remaining books are being sent on a cargo ship. We just received word that these books shipped out last week, with an approximate arrival date of March 31st! With that in mind, we will now start accepting pre-orders for autographed books here. The book will also eventually be available from numerous on-line and brick-and-morter retailers, though I don’t know how long it will take to get the distribution process up and running. 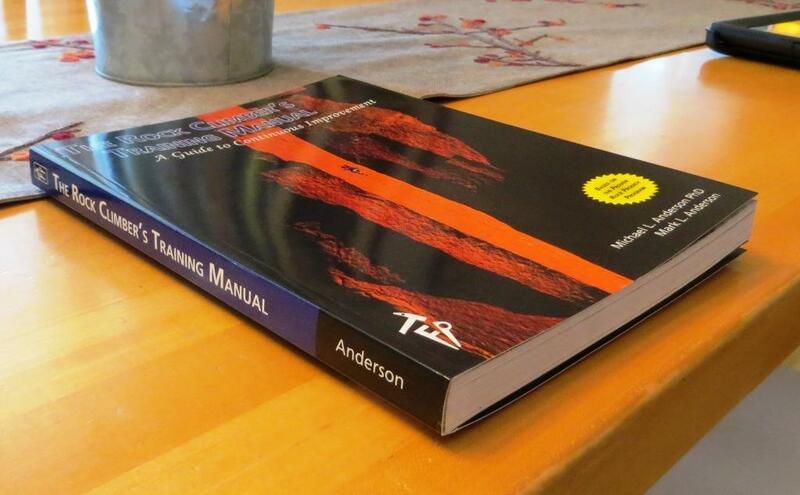 The book will come with a “free” Training Log that will provide blank log sheets for each workout in a single season. Fixed Pin will also sell a Three-Season Training Log that should get most folks through an entire year’s training. Finally, here’s a flip through of the entire book (in reverse–sorry, I’m left-handed). Enjoy! I’d like to know if it will be possible to buy the book in amazon. The thing is that in Europe we have a problem with customs when we buy items shipped from the US. In case the book is available in amazon.co.uk (or other european online shop), that would be better. The book will be available on Amazon. I don;t know about Amazon.co.uk. Our publisher has a UK distributor, so it will be up to them to get the book out to that market. It’s not easy to balance climbing and family, but if you really want improve, and you have a supportive spouse, it is possible. Any news on the arrival of the book?